The crackling sound of the fire filled the silence as they waited in anticipation for the evening’s story. 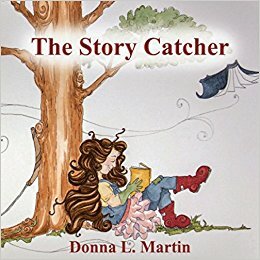 Dry leaves crunched under shuffling feet as the last few hurriedly found a seat near the storyteller and squeezed in as close to him as they could get. Slowly, as if every move caused him great pain, the storyteller gently lowered himself onto the sacred stone and gestured for their attention. He needn’t have worried. Every set of eyes were trained on him and every breath hushed as they waited for him to speak. One look at the faces crowded around the fire told him what he needed to know. “I can see this is a story which must be told again so the old can remember it, and the young can learn to never forget it. Many moons ago…on such a night not unlike this one…the great Creator came to us. He was known as the first of our kind. The first born with the ability to shapeshift. The storyteller paused to catch his breath. Feeling a faint stirring beginning deep within him, the storyteller paused a moment to savor the moon’s calling before forcing himself to turn back to the faces so patiently waiting. “But what ever happened to the Creator?” One of the youngest in the group howled. He could feel the calling rising stronger within him. It had been many moons since he felt it heat his blood. Many moons since he ran through these woods to keep ahead of the hate chasing him. Ignorance of the unknown too often led some to strike out at him in fear. If only they had given him a chance to prove the prophecy wrong. If only they hadn’t torn the most treasured thing from his life so long ago. ← TALES FROM THE BAYOU: What Is That Smell? Thanks a lot. I can’t decide who or what is the hunted. I hope to find out the answer someday, because I certainly can’t think of one myself. What started out as a simple kid’s tale quickly turned into something more sinister. I never know where these flash fiction stories will lead me. Maybe I should flesh some of them out and create an anthology?